Do you have any kind of spray to control acorn weevils? We collect acorns, hickory and walnuts and we get tiny white maggots crawling out even though we bag them and freeze them for weeks. I also think we have walnut husk flies. We like to use them for ornaments we hand craft but the maggots are nasty. Acorn weevils and a range of husk flies will target nuts in mid summer. 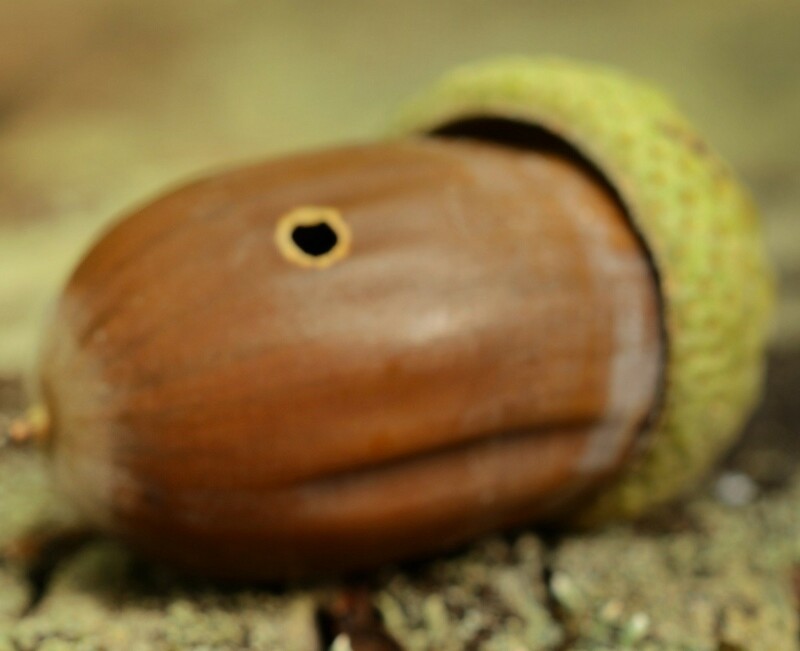 Adults lay eggs on the young nuts which are then contained inside the developing blossom. At some point in the summer the larvae hatch and feed well protected by the nuts outer shell. Once they get their fill, they “drill” out leaving small exit holes. 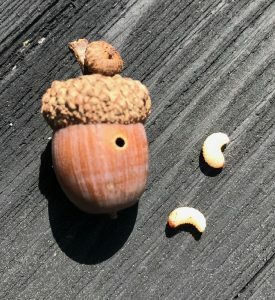 When fall arrives and nuts naturally drop to the ground, many will have exit holes but many more will still have active larvae who have not yet exited. These must be the ones you’re finding in your bagged collection. Trying to spray the nuts once you collect them would not be practical since the insecticide won’t penetrate the nut. And freezing won’t kill them either. True, many will go dormant but this will not solve the problem. Fortunately there is a way to control them indefinitely. Continue to bag them. But in each bag place an INSECT STRIP. These release small amounts of active which will effectively “fumigate” the nuts. As larvae chew their way out of the nut husk, they’ll encounter the air in the bag and die. Keeping the nuts inside at room temperature ensure all developing larvae will emerge before the end of the year and in turn, die. By the new year, your collection will be maggot free. Use one strip per garbage bag (30-55 gallon size bags). They’ll actually last 6-12 months so if you only use them for a few months in the fall, you can seal them up in a zip lock bag and use them again next year. 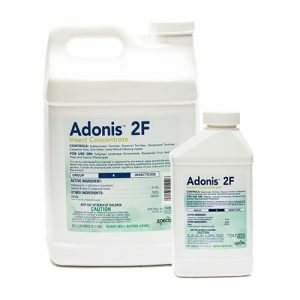 Now if the trees you’re harvesting the nuts from are on your property, you should consider treating them with ADONIS. This product can be mixed with water and used as a soil drench around any nut tree. Over a 2-3 month period, it will be picked up and absorbed by the tree and then distributed to its leaves and nuts. Anything trying to eat the nuts will then die. One treatment in the spring should last the whole year. Use 1 oz per 10″ of tree width. So if your tree is 20″ wide, you’d need at least 2 oz of active. A 5 gallon bucket is a great size to use for the drench. Fill it with 3-4 gallons of water and then add the chemical. Next, pop 8-10 holes around the trunk of the tree. These holes can be made with a pick ax or a piece of 1/2″ or 3/4″ rebar. Holes should be no closer than 2 feet to the main trunk and inside the drip line. Slowly pour the mixed chemical into the holes making sure it all seeps down into the soil around the tree.